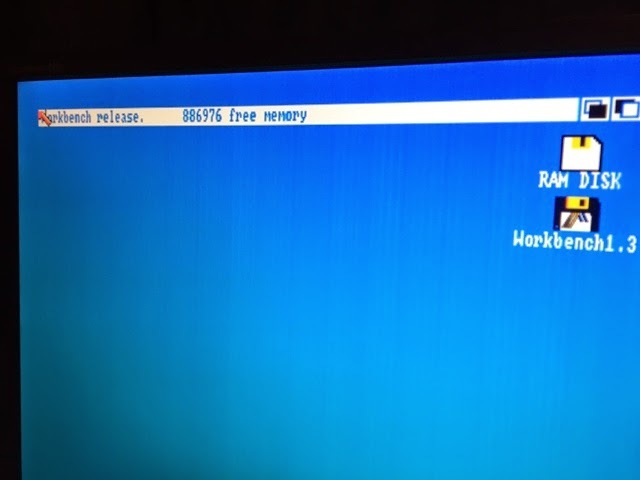 I am pleased to say that today I received my 512k external memory expansion for my Amiga 1000! 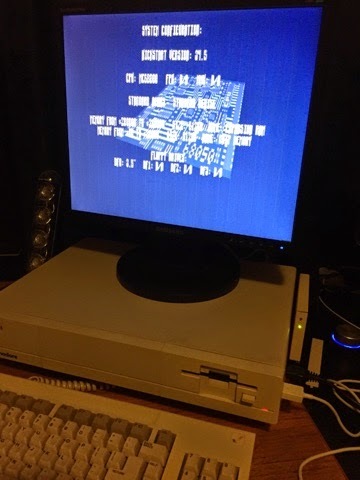 As I mentioned in my previous blog entry about the Amiga 1000, this Amiga has 512k of memory in it already, but with this new external expansion it now has a total of 1MB memory! I bought the expansion card module from Ebay - it was AUD$50 from memory. The seller packed it very well indeed. 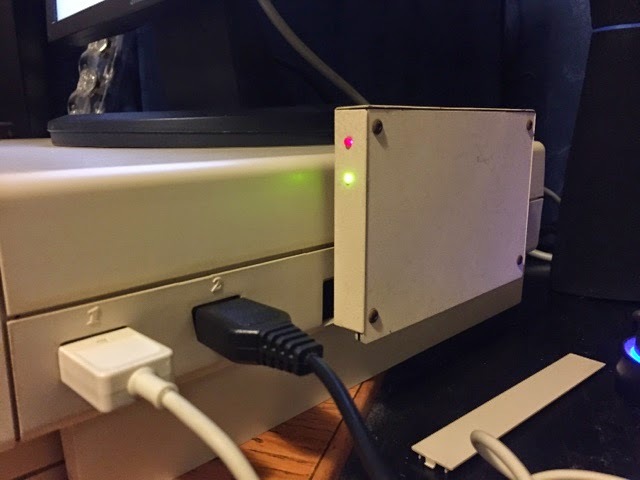 As you can see it connects to the Amiga 1000 right hand side expansion connector port, which is covered by a plastic cover you can see on the desk below the installed expansion card. The memory card has a green light to show it is on - plus it also has a red flashing light whenever it is used too! I am a little curious about why it needs that! Seems like overkill but at least I know it works! I know having 1MB on an Amiga is not such a big thing, but finding a suitable 512k external expansion card for an Amiga 1000 is not as easy as it used to be! 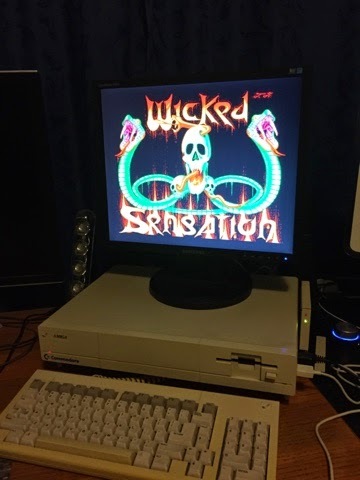 I am very glad to have it on my Amiga 1000! 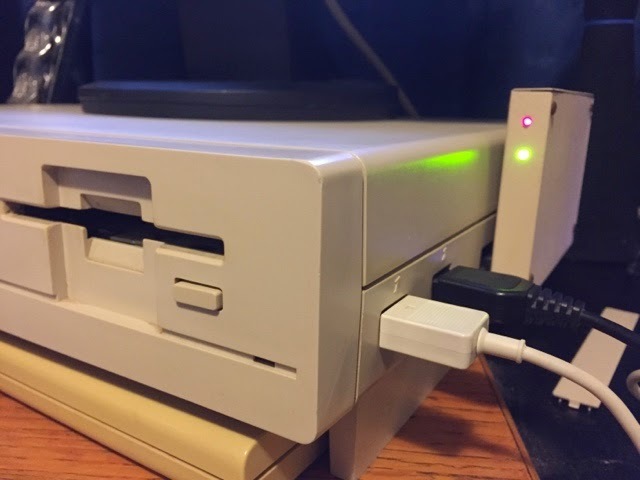 I have ordered an Indivision ECS adapter card for my Amiga 1000 too, and look forward to trying it when it arrives! Unlike other Amiga models, the Amiga 1000 needs a special adapter card to be able to install a separate Indivision ECS card into it. Initially I will try my Amiga 600 Indivision ECS card in it first to make sure it works! 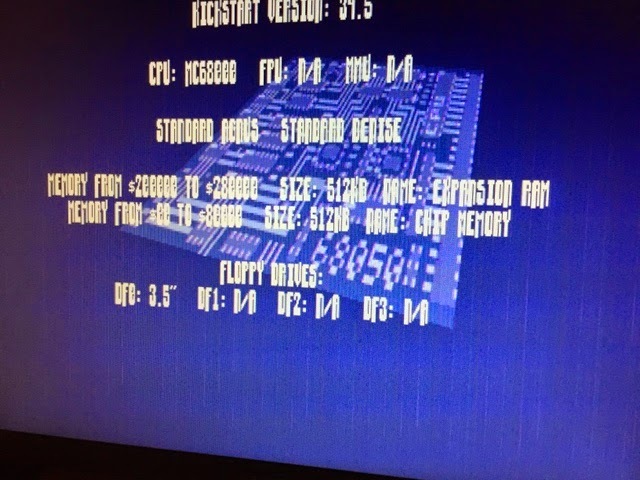 Then I may invest in another Indivision card for the Amiga 1000 to keep permanently. 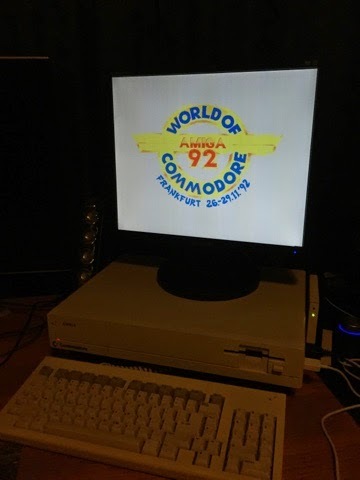 I have no idea where I can wire the VGA connector to on the rear of the Amiga 1000 case though! One problem at a time I guess! Any suggestions please let me know! I have this same memory expander. It's the M.A.S.T. Memory and Storage Technology board. It can be expanded to 2MB internally easily by just installing the extra ZIP RAM chips. I did that to mine. 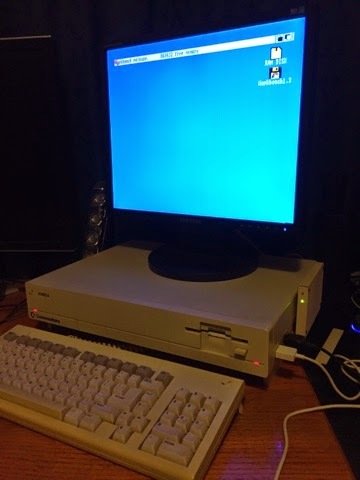 My Amiga 1000 has arrived!